As Marc Andreessen famously said, “software is eating the world” and financial services are no exception. The market is ripe for disruption, with incumbent banks, insurance, payments and investment management companies no longer able to bamboozle consumers with jargon, hidden costs and arcane language. The time is right for entrepreneurs and new technology to shake up these industries. New online financial lending communities, from Lending Club and OnDeck in the US to Zopa and Funding Circle in the UK, are sprouting up as traditional banks’ are less willing to take risk and have less capital available to lend. They can offer more competitive rates and cut out the middle man, as well as offer the convenience of simple apps and websites. Simple provides mobile-first banking with no need to visit a branch, no hidden fees and great customer service. 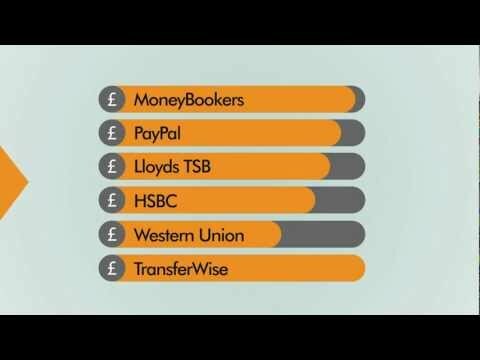 TransferWise is shaking up the sleepy world of sending money overseas through high street banks. They are helping consumers all around the world exchange money with each other safely and transparently, through their peer to peer model. Customers send more than a million pounds – euros from Manchester to Spain or pounds from Stockholm to the UK – through TransferWise every day. Rather than being overcharged with large, hidden fees and inferior exchange rates, you get market rates and low costs. There is a focus on transparency, with best price guarantees. Plus, rather than the archaic, lengthy practice of queuing in shops, there is an easy-to-use app or web-based money transfer service. Here in the UK, our challenger bank Virgin Money are disrupting that idea with stunning free lounges, where people can relax, share ideas and enjoy themselves instead of simply complete transactions in a sterile environment. In the very traditional payments market, Square is enabling plumbers, window cleaners and street market vendors to grow their business and sell on the go using smartphones. Clinkle is introducing a mobile wallet for day to day transactions, so rather than put your hand in your pocket for small amounts of cash you can just pay with your phone. Elsewhere, regulatory changes around crowd funding and peer-to-peer lending are creating great opportunities for people to turn dreams into reality. Indiegogo, a company I’ve invested in recently, empowers anyone, anywhere to raise funds for creative, entrepreneurial or cause-related ideas using its online platform. From vital signs scanners to solar classrooms, mosquito patches to aerial robot photography, it is helping meaningful projects come to life. While there are great opportunities to make investments and build profitable businesses, these sectors also allow businesspersons to use their entrepreneurial skills to help create a better word. New financial technology is already having a positive impact upon people’s lives, and new innovations will give more opportunities for companies to do business for good. Most great ideas come out of frustration All of these businesses were built by entrepreneurs who saw models that didn’t make sense and came up with technology to consumers’ lives easier (as well as their own!). Financial services are ripe for disruption by a new breed of entrepreneurs. What kind of innovation would you like to see next? Do you think entrepreneurs have lost the will to innovate?